As the aging population continues to grow, an increasing number of seniors are choosing to stay at home, relying on family members and friends to provide care. Unfortunately, economic hardships make fulfilling caregiving responsibilities more and more difficult. According to the National Alliance for Caregiving, 74 percent of caregivers are also secularly employed. Working caregivers must juggle careers, family obligations and caregiving duties – often sacrificing their health and personal lives in order to do so. The number of caregivers in the workforce has increased threefold in the last five years and will only continue to increase in the following decade. Unless caregivers can find a successful balance between work and caregiving, families can expect more challenging times than ever before. Barbara Campbell, regional vice president of the Group Benefits Division at The Hartford Financial Services Group says, “Our research found a troubling trend of Baby Boomer caregivers being pushed to their limits.” More than half of boomers age 55 and older admit having missed work or left work early because of caregiving responsibilities. Younger caregivers fare no better; 68 percent claim they miss work to care for an older relative. 1. Ask your employer about flexible-work options. This may mean a compressed work week or a modified daily schedule. Your office may not have a formal policy in place, but many businesses will make allowances on a case-by-case basis. 2. Consult with human resources to find out what you are entitled to under law. 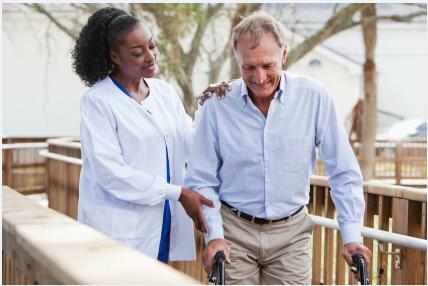 The Family Medical Leave Act (FMLA) requires larger employers to provide up to 12 weeks of unpaid time off with job protection when workers are called upon to care for an elderly or disabled parent. 3. Consider job-sharing or telecommuting. These caregiver-friendly options can help you meet your secular obligations while giving you more time for caregiving. Contact your Employee Assistance Program (EAP) to find out what other support services are available for working caregivers in your area. Hiring an in-home caregiver can also help ease the burden of care. ClearCare’s home care system and home care software are designed to help busy families better manage the responsibilities of care and their secular jobs. A dependable home care system is an excellent tool for those who worry about leaving their family members in another’s care. ClearCare’s web-based home care software keeps families updated on all daily activities for incomparable peace of mind. Working caregivers must set limits on what they will do. Taking advantage of an innovative home care system and home care software allows caregivers the freedom to decide what they will do with their time and resources. In combination with the three suggestions mentioned above, ClearCare’s quality home care system and home care software will help working caregivers find the right balance between work and caregiving.